Watch and find out what should be on your CV. You've spotted the perfect job, you think you meet all the necessary requirements, but before you start thinking about a possible interview, do you have a CV that stands out from the rest? For every job advertised, there are often hundreds of applicants submitting their CVs, which makes it very important that your CV grabs recruiters’ attention immediately. Working experience: List your working experience, starting with your most recent job and working your way back to your first job. Include the dates you started and left, the companies’ names and a summary of your key duties at each job. Education: Here you'll need to list all your qualifications, starting with the most recent and ending with your first. Remember to add in the start and end dates, as well as the names of the institutions you attended. Skills: Write down all the necessary skills you acquired at your various jobs. References: List the names, positions and current contact details of colleagues who can give insight into your work performance. Remember to ensure that you have their permission before listing their names. 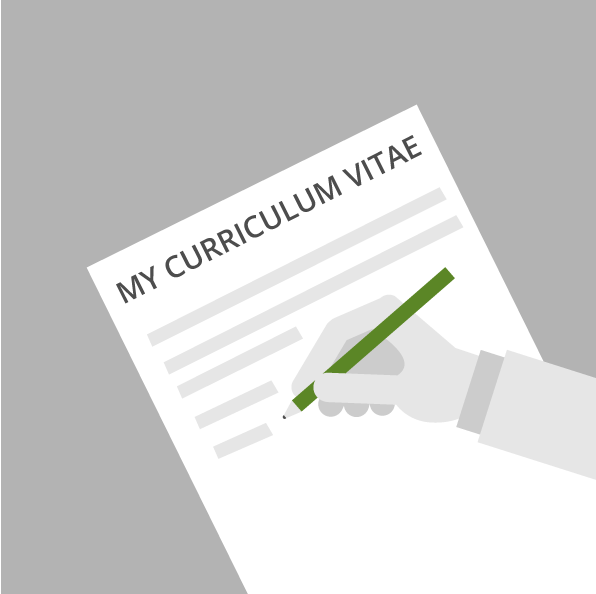 There are many ways to create your CV and with countless apps and digital tools, it just got easier. Remember that your CV style needs to suit the type of job you’re applying for. Use an online CV creators like The CV Centre, cvmaker, CV creator or Visual CV. Design your CV or choose a template that suits you at The CV Centre, Credit Compare, Business Owl, Money Smart or Job Mail. Try LinkedIn’s CV builder. This feature takes all the information you’ve registered on the site and creates a professional CV. It also gives you the choice to choose from CV styles to suit your application. Use a Word document to create your CV. Your document should be one to two pages but you’ll need to remember to always check the required page count on the job advertisement. Save your Word document as a PDF so that no one can change your details. Your CV cover letter will be the first thing most recruiters see so it is important to write a cover letter for each job you apply for. Remember, the CV is about your skills but the cover letter should give recruiters an idea of whether you meet the company’s requirements. Read the job advertisement so that the content in your cover letter matches the requirements in the advertisement. State the job that you are applying for in the opening line. Write down three reasons telling the recruiter why they should hire you. Try using a table with two columns. The first column can state the requirements for the job (usually stated in the job advertisement) while the second column lists your qualifications that match the requirements. You can use bullet points to list your skills; they look neater. You should have a conclusion. These are only guidelines as there are many ways to write a cover letter. 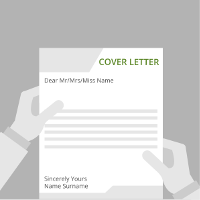 Here are some tips on how to write a cover letter. Thank you for considering my application for the features writer position at your company. You will find that I am a hardworking, experienced and dedicated worker who believes in building good relationships with contacts and delivering within given deadlines. Two years’ writing experience at a magazine. Three years’ experience with Adobe InDesign. Ability to think creatively and meet deadlines. I am known to be deadline driven and original. I appreciate your time and look forward to hearing from you soon. Never apply for a job if you have not read the job advertisement properly. Ensure that you meet all the requirements first. Try not to include unnecessary information. You do not need to include your religion, a photo (unless it is requested), your political affiliation or date of birth. Be creative when you describe your personality or skills. Avoid using words the recruiter may have seen in 50 other CVs. Be credible. If your CV mentions specific skills, remember to back this up with previous job experience and a reference you can attest to this. Do not submit the same CV for different jobs. When you use the same CV, you may not receive feedback from potential employers as the CV may not suit the job you’re applying for. Always be neat. Your CV should be presentable and error-free. Use a font that is readable and easy to look at such as Helvetica, Century Gothic or Calibri. Avoid making everything bold or uppercase. Use design to make your CV standout. Don’t be afraid of white space. A well-designed CV is easy to read and stands out from the rest. Do not skip any important details. Make sure you have a good subject line when applying via e-mail; tell the person who you are and what job you’re applying for. The person reading your e-mail may have 100 other messages to read so ensure that your e-mail stands out. Always be contactable. If you are applying for a job, make sure you have provided the correct contact details and that you answer your phone. 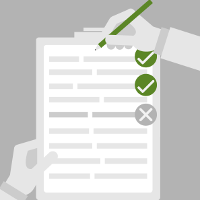 Use this checklist below to make sure your CV is error-free. If you have missed any of the blocks, go back and rework your CV. I have included my full name, contact details and ID number. I have listed my working experience in reverse chronological order, stated my start and ending dates, the companies names and my responsibilities. My education is listed in reverse chronological order starting with my tertiary education. I have listed the dates, the course I was enrolled for and the name of the institution. I have listed the necessary skills for the job and ensured that my working experience matches the skills I have listed. My references are contactable and know that I am listing them. My cover letter is concise and tells the employer why they should hire me. My CV design suits the job that I am applying for. I have used spell check and have no grammatical errors. My font, line spacing and graphics ensure that my CV is easy to read. My contact details are correct and the recruiter will have no problems getting hold of me.